Just a quick announcement: I updated my electronic versions... so on Amazon you will now find Melody of the Fates with the new cover. Also, everywhere Smashwords distributes. I only made a few slight edits to the manuscript. Fixed a couple typos. The only major change is that I removed the italicized flashback in Chapter 1. I felt it was really unnecessary and clunky. Plus, it doesn't really alter the narrative in anyway, as it was just back story. If you already bought the ebook and want an updated copy for free, shoot me an email. I can get you a Smashwords code. I eventually want to update the print version, but that is a lot more tricky and will take me some time. 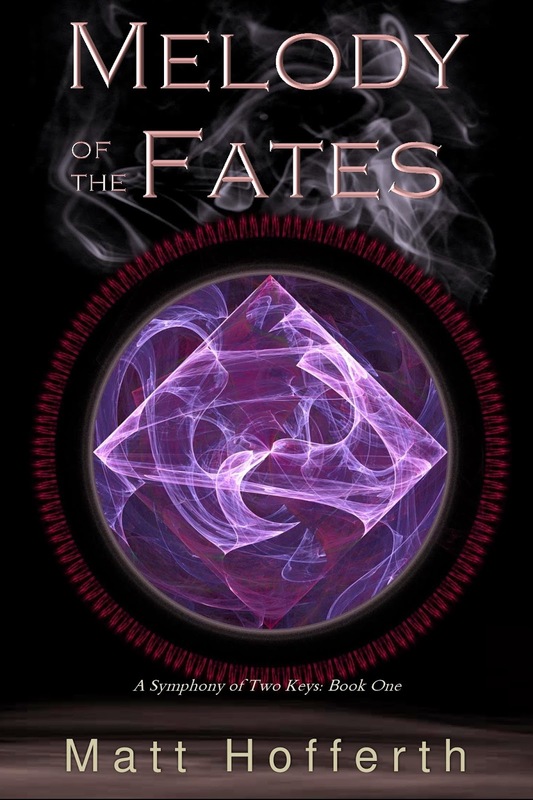 I've been re-reading Fates' Motif, which I'm re-titling as Melody of the Fates, and have actually started writing Hymn of Home, the second book in the series. It's been a long vacation, and I feel like some updating is in order. One of the things I wanted to do was rework the cover design for Melody. I wanted to go with something that I could thematically use across the series to keep things simple and give the books all a similar look. I'm excited about what I came up with. On Wattpad and WriteOn (the two places I'm "live writing"), I've already updated the cover. I'm going to eventually change all my "for sale" place, but am not in a hurry. If you have one of the previous covers, you can consider it a "limited edition." The story will be the same, I'm just improving the cover (I think). I have a total of five possible images that are all variations on the same shape but different colors, so I could do five covers with this basic design (I'm planning to only need four). I thought they were cool, simple, and will make consistent covers across the series. Writing will probably go a lot slower for me than the covers did, but here's hoping I'm back on the horse. It has been a while since I've written here. A lot of personal stuff happened and it's been challenging to balance. I wanted to note that I've been doing some background work that is probably not so evident here. I wanted to change some things up. Fates' Motif is going to be re-titled Melody of Fates. I didn't like the plural apostrophe. It may sound silly, but it's too complicated for a title that doesn't roll of the tongue. Whereas MoF fits better with what I'm wanting to do for the other books in the series (I've been doing some serious background plotting). Other than that, I want to change the cover look as well. I've working with some graphic designers to get something I really like. We'll see how it goes. I may not write regularly on here, but wanted to leave this note. 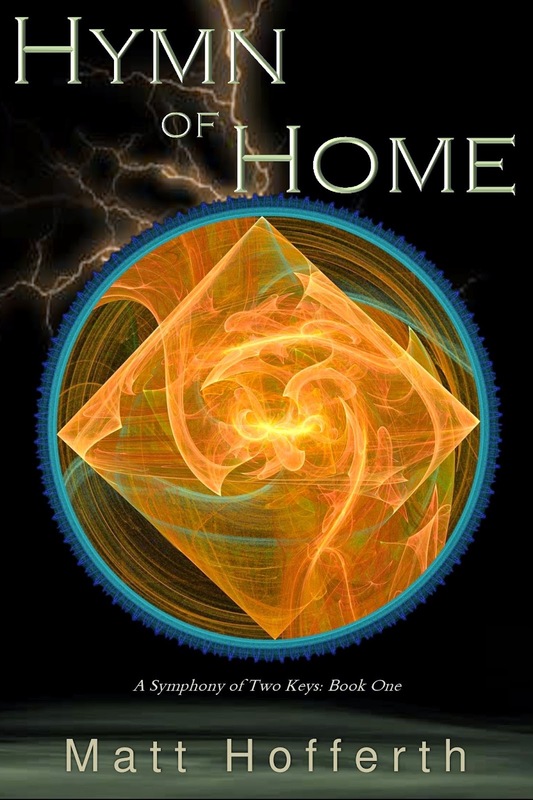 My journal is still going monthly, and I've been re-reading MoF to help me start writing the second book in the series. I'm posting chapters for free as I go through them at Wattpad here, so feel free to read along and comment. Otherwise, I'll answer through here but I may not post as much until I have some real news. As always, thanks for reading and hopefully I'll get my writing output back up to where I wanted to be in the not-so-distant future.